PodCamp Nashville 2 Details: Epic or Legendary? Since PodCamp tends to be much smaller than a BarCamp event, the funding will be much different. 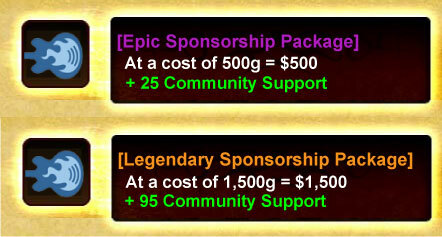 As of this moment, we’re seeking two different levels of sponsorship: Epic Sponsors for $500 and a Legendary Sponsors for $1,500. But again, please check official PodCamp site next week for updated information, including what these sponsorship packages will contain and how you can participate leading up to the event itself. You are currently browsing the archives for the Photoshop Fun category.